Since the kids have been out for school we have been enjoying going to the movies to beat the heat! Have you seen Sony Pictures Animation’s Hotel Transylvania 3: Summer Vacation yet? It is currently playing in theaters everywhere and it is AWESOME! 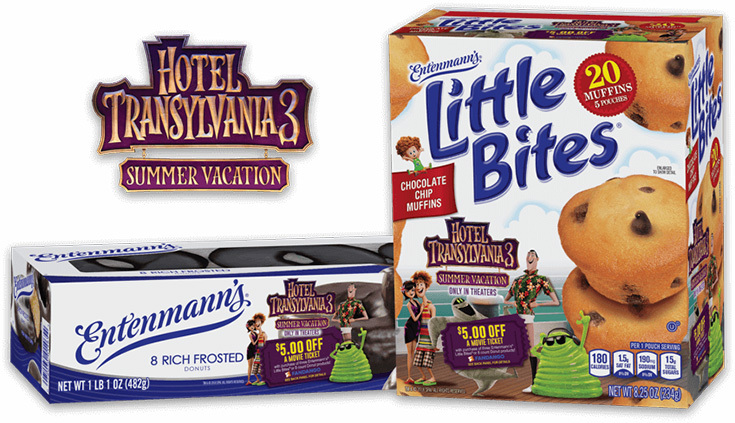 Entenmann’s has partnered with Sony Pictures Animation for a FUN promotion to celebrate the theatrical release of Hotel Transylvania 3: Summer Vacation. 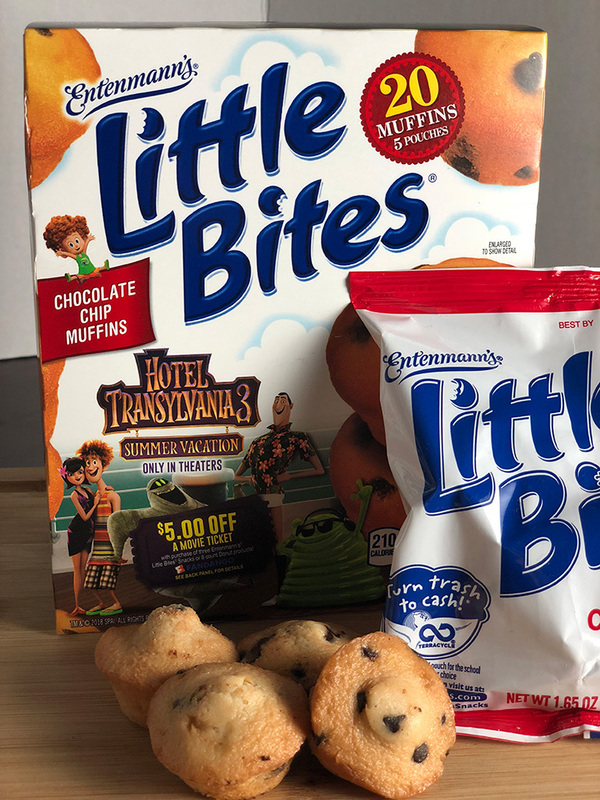 From May 28, 2018 to August 3, 2018, you will receive $5.00 off a movie ticket to see the film with the purchase of three five-count specially marked Entenmann’s® Little Bites® or eight-count specially marked Entenmann’s® Donuts. 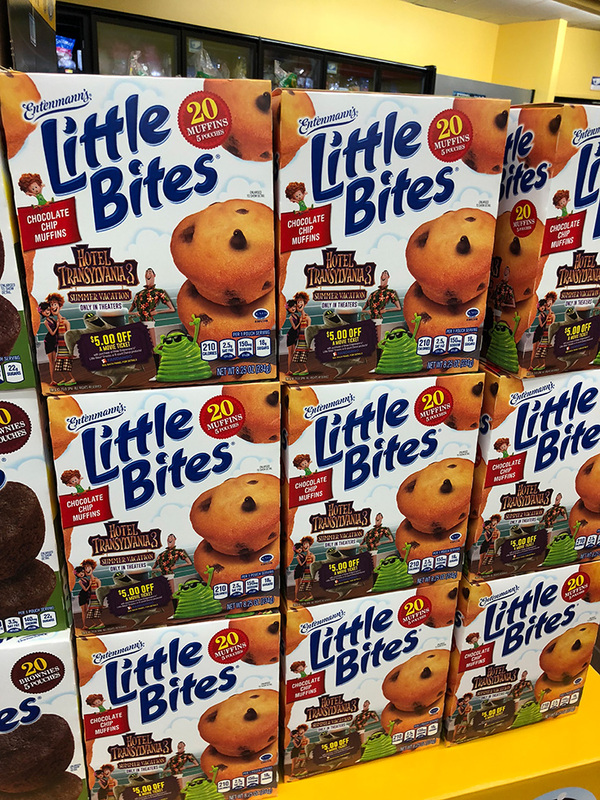 When I was shopping at Walmart I found a display full of Little Bites boxes of these delicious little snacks that my family loves! I like that these come in a variety of flavors like Blueberry and Chocolate Chip which are two of our favorites. You only have to buy three of the specially marked boxes to earn the $5 off a movie ticket. 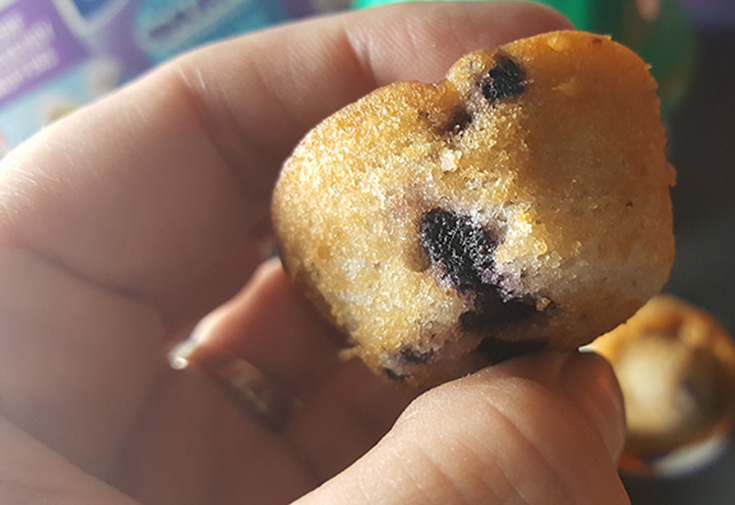 I usually buy the Entenmann’s® Little Bites® to keep in the pantry because I they are the perfect snack that the kids can grab, especially on the go. Most of the varieties are less than 200 calories per pouch and offer a good source of calcium and Vitamin D. They also contain NO high fructose corn syrup or trans fat which make I think is awesome! One of my LUCKY readers is going to win a prize package that includes a $25 Visa Digital gift card and (3) coupons for $7.00 off the purchase of any Entenmann’s® products. To enter for your chance to win use the Rafflecopter below!